The blog YTD2525 contains a collection of clippings news and on telecom network technology. Bij sim-swapping neemt een criminele hacker jouw telefoonnummer over. Hoe werkt zo’n aanval en nog belangrijker: hoe bescherm je jezelf tegen deze manier van hacken? Bij sim-swapping belt een hacker de telecomprovider van het slachtoffer op en overtuigt hij de medewerker om het 06-nummer over te zetten naar een simkaart die in zijn bezit is. De 21-jarige Oliver (niet zijn echte naam, die is bekend bij de redactie) is één van de meest beruchte hackers die aan sim-swapping doet, en hij vertelt tegen RTL Nieuws hoe hij te werk gaat. Telecomproviders stellen een aantal beveiligingsvragen om te controleren of degene die belt ook daadwerkelijk de klant is. Het gaat dan om je naam, woonadres, geboortedatum en soms de laatste vier cijfers van je rekeningnummer. Dat soort informatie verzamelen Oliver en ander hackers online, bijvoorbeeld door in datalekken te neuzen waar dit soort informatie te vinden is. “Die informatie kun je zelfs voor 10 euro van een medewerker van de telecomprovider kopen”, zegt hij. Nederlandse telecomproviders stellen ‘verschillende beveiligingslagen’ te hebben ingevoerd om sim-swapping tegen te gaan. Sommige providers sturen eerst een verificatie-sms naar het telefoonnummer om te bevestigen dat degene die belt de eigenaar is. Kan je de sms-code niet ontvangen? Dan wordt de nieuwe simkaart per post opgestuurd of moet je naar de winkel. Volgens Olivier zijn T-Mobile en met name Tele2 het makkelijkst om de tuin te leiden. Tele2 stelt in een reactie dat de klant ‘drie van de vijf beveiligingsvragen’ goed moet beantwoorden voordat er telefonisch iets kan worden aangepast. T-Mobile wil om ‘veiligheidsredenen’ niet over hun telefonische beveiligingsmethode kwijt. Bij T-Mobile en Vodafone kunnen klanten wel een wachtwoord instellen dat moet worden opgegeven zodra de klant iets telefonisch wil aanpassen. Hoe bescherm je jezelf tegen sim-swapping? Om jezelf te beschermen tegen sim-swapping, is het belangrijk dat je je telefoonnummer van je online accounts verwijdert. Bij veel accounts zorgt je 06-nummer voor een extra beveiliging (tweestapsverificatie), bijvoorbeeld omdat je een sms-code moet invoeren na het inloggen. Het is dan verstandig om die extra beveiliging op een andere manier in te stellen. Dat kun je doen door bij je online accounts gebruik te maken van een zogeheten authenticator-app. Dit kan onder andere bij Google, Microsoft, Twitter, Facebook, Instagram en Dropbox. Met de gratis app Authy kun je de inlogcodes voor deze online diensten opslaan en op meerdere apparaten bereiken. Een nog veiligere manier is om gebruik te maken van zogeheten security keys. Dit zijn fysieke sleutels die je in de usb-ingang van een computer stopt. De online dienst controleert of het de juiste sleutel is, en de sleutel weet of je inlogt bij de juiste online dienst. Experts raden een combinatie van een security key en inlogcodes via de authenticator-app aan om je te beschermen tegen sim-swapping. Als laatste kun je bij Vodafone en T-Mobile een wachtwoord instellen als je iets telefonisch wil aanpassen. Je moet dan dat wachtwoord aan de telefoon zeggen voordat je een wijziging wil doorvoeren, en dat houdt een groot deel van de sim-swap-aanvallen tegen. 5G is the newest wireless networking technology that phones, smartwatches, cars, and other mobile devices will use in the coming years, but it won’t be available in every country at the same time. Some estimates, like this one from Ericsson, forecast that 1.5 billion users will be subscribed to a 5G network by 2024, and that coverage will blanket over 40 percent of the world’s population. North Americans have already seen smaller iterations of 5G networks pop up, but it won’t take off in most areas until 2020. 5G broadband internet from Verizon is currently available in a few cities. More areas are likely to get at-home and mobile 5G in late 2018 and early 2019. However, we could see an accelerated (or even slower) release of 5G networks in the United States since the US government proposes nationalizing 5G. Canada’s Telus Mobility has given 2020 as the year 5G is available to its customers, but explains that people in the Vancouver area can expect early access. Rogers Communications is making a 5G test site on campus at the University of British Columbia, set to go live in early 2019. Learn more about the plans Rogers has for 5G to see when they expect a live network. In late 2017, the Mexican telecommunications company América Móvil announced the release of 4.5 networks in anticipation of a 5G release. Its CEO says 5G should be available in 2020 but could come as soon as 2019 depending on the technology that’s available at that time. Wireless provider Claro plans to roll out 5G in Puerto Rico in 2019, between April and June. South American countries with the greatest populations will probably see 5G come out in spurts starting in late 2019. Entel is the largest telecommunications company in Chile, and has partnered with Ericsson to bring 5G wireless service to Chilean customers. Movistar and Ericsson tested 5G systems in 2017 and will likely roll it out to customers around the same time that Chile sees 5G. After having signed an agreement to help develop and deploy the technology, we expect Brazil to usher in 5G service starting sometime in 2020. This time range is also supported by Qualcomm director Helio Oyama, who has stated that 5G will most likely hit Brazil a few years after it’s commercially available elsewhere in 2019/2020. 5G is expected to reach most Asian countries by 2020. These three South Korean companies are collaborating to bring mobile 5G networks to the country on December 1, 2018: SK Telecom, LG Uplus, and KT. They’ll provide access with mobile 5G routers first, since 5G phones aren’t set to come out until March of 2019. The SK Telecom service provider will offer 5G to the Myunghwa Industrymanufacturing company first, located in Ansan, followed by corporate customers in six metropolitan areas: Busan, Incheon, Daegu, Daejeon, Ulsan and Gwangju. They began trialing 5G service in 2017 before successfully using 5G in their self-driving test site K-City. LG Uplus’ 5G network will go live in Seoul and surrounding locations initially. With over 4,000 5G base stations already positioned in Incheon, Seoul, and Gyeonggi, the company expects over 7,000 more to be deployed before the end of 2018. KT Corporation is launching 5G in Gwacheon. The company previously collaborated with Intel to showcase 5G service at the 2018 Olympic Winter Games in PyeongChang. According to the ICT and Broadcasting Technology Policy director at the Ministry of Science and ICT, Heo Won-seok, five percent of the country’s mobile users will be on a 5G network by 2020, 30 percent within the following year, and 90 percent by 2026. NTT DOCOMO is Japan’s largest wireless carrier. They’ve been studying and experimenting with 5G since 2010 and plan to launch 5G service in 2020. In September, 2018, NTT DOCOMO successfully achieved 25–27 Gbps download speeds in a 5G trial with Mitsubishi Electric. The test could be used to develop a high-speed 5G network that works with vehicles. China’s director of Ministry of Industry and Information Technology (MIIT), Wen Ku, has said that “The goal is to launch pre-commercial 5G products as soon as the first version of standards comes out…”. Along with the Chinese state-owned telecommunications operator, China Unicom, who’s expected to build 5G pilot projects in 16 cities including Beijing, Hangzhou, Guiyang, Chengdu, Shenzhen, Fuzhou, Zhengzhou and Shenyang, is China Mobilewho will reportedly deploy 10,000 5G base stations by 2020. 3 Hong Kong is in the early stages of 5G development. They tested 5G outdoors in late 2018 in Causeway Bay, and reached speeds over 2 Gb/s. However, the United States government has talked about nationalizing 5G in the US to purportedly protect the US from malicious Chinese attacks, and some companies like AT&T have been pressured from the US government to cut ties with phones made in China. This might affect the timeframe for Chinese telecom providers to release 5G. According to Ooredoo, a telecom company in Qatar that has been working on implementing 5G since 2016, they are the first company in the world to provide commercial 5G access. At the moment, 5G is only available in Qatar, but since Ooredoo has markets in Iraq, Oman, Palestine, Maldives, Singapore, Algeria, and other countries, it isn’t a stretch to think that we’ll see 5G reach those areas in 2019–2020. Vodafone is another company in the process of providing 5G service in Qatar, with the CEO estimating that customers will be able to use 5G before the end of 2018. Ooredoo is also looking into using 5G for home broadband service. Two out of three of the telecommunication companies in Kuwait have launched 5G service. Zain was the first, announcing the 5G launch in June, 2018. On the same day, just hours later, Ooredoo announced similar news. The Telecom Regulatory Authority of India released this PDF in late 2017 that outlines the 5G standard draft and shows a timeframe for when 5G should be deployed around the world. On top of that, in August 2018, one of India’s largest telecom providers, Vodafone Idea Limited (previously called Idea Cellular), merged with Vodafone (which was the world’s second largest phone company before the merger). Vodafone was already preparing for 5G, having set up “future ready technology” in 2017 by upgrading their entire radio network to support 5G. Anyone who attended the Asian Games this year could have tried out 5G in Jakarta, Indonesia. A special Telkomsel SIM card was needed in order to connect to the network. It’s unclear whether Indonesia will see commercial 5G begin to roll out in 2018 or 2019, or later, but a trial of this size was a great indicator that they’re on a track of some sort. Turkcell is Turkey’s largest mobile phone operator. In early 2017, the company completed a 24.7 Gb/s 5G trial with Ericsson, and in September of 2018 announced an agreement with Nokia to develop 5G technologies. It’s clear that Turkcell is on the right path to providing Turkey with 5G, but it’s unclear when, exactly, customers can expect a live network. Vietnam will likely see 5G in 2020. According to the country’s state-owned and largest telecom, Viettel, they’ll run 5G trials in 2019 and will have a network ready to introduce the following year. Advanced Info Service (AIS), the country’s largest mobile phone operator, is testing 5G in Thailand but hasn’t indicated when they plan to go live with a commercial 5G network. StarHub announced in November, 2018, that they, in partnership with Nokia, completed their first outdoor pilot of 5G on the 3.5 GHz frequency band. However, there’s no information on when StarHub will have a 5G network ready for Singaporean customers. The wireless communications company Smart has been testing 5G since 2016, and announced in June of 2018 the launch of 5G TehnoLab, their 5G innovation lab. Smart plans to have a 5G-ready network live for customers by 2020. In November, 2018, Smart rolled out their first 5G cell sites in the Philippines. They were erected in Makati Central Business District (Makati CBD) and at the Clark Freeport Zone in Pampanga. In Smart’s 5G testing, they’ve managed to achieve speeds of over 14 Gb/s, and have completed a 5G-enabled video call. Although Bangladesh is one of the top 10 most populous countries in the world, it was very slow to roll out 4G and will likely also take much longer than other countries to implement 5G. BTCL and Banglalink are two companies to watch for 5G in Bangladesh. Vodacom Group, which was the first to introduce 4G, 3G, and 2G in South Africa, is at it again with the release of a 5G trial in Lesotho in August, 2018. They showcased a fixed wireless access (FWA) network using a temporary license in the 3.5 GHz band. Rain is another South African telecom that plans to roll out 5G. They’ve estimated a release date of early 2019. MTN Group Limited partnered with Ericsson in November, 2018, to deploy a fixed wireless access 5G site in Midrand. Although MTN South African hasn’t announced a 5G release date, the trials and tests they’ve performed shows that they’re interested in developing 5G use cases and might one day offer customers a 5G network. Nigerian Communications Commission (NCC) plans 5G to roll out in 2020. European countries should have 5G access by 2020. Telenor is the country’s biggest telecom operator, and plans to launch 5G in Norway in 2020. The company successfully tested 5G in early 2017 before launching three 5G base stations in Kongsberg in November, 2018. They had five families test in-home 5G and will continue running pilots in 2019 until their commercial launch in 2020. Deutsche Telekom announced in mid-2018 that Europe’s first 5G antennas were being deployed in Leipziger Straße and Winterfeldtstraße, and that the company would continue rolling out 5G in other parts of Berlin. They plan to cover 90 percent of the country with 5G by 2025. The UK’s largest network operator, EE, plans to launch 5G in 2019, starting with London, Cardiff, Edinburgh, Belfast, Birmingham, and Manchester, and then hundreds of other areas before 2020. Vodafone UK is another big mobile telecommunications provider in the UK, and plans to release 5G in the Lake District and Cornwall sometime in 2019. Vodafone UK is also going to start up 1,000 5G testing sites in 2019. The company also started 5G trials in Salford, Greater Manchester; tested how 5G can be used in car communications; and successfully completed a holographic phone call using 5G. After announcing their commitment to invested billions in 5G, UK’s Three is another company to watch for a mobile 5G network. They’ve also tested 5G for home use. O2 is looking at a 5G network, too, but haven’t announced when one will be available. They have, however, tested data transfers using LED lights, which they say is a stepping stone to prepare their network for a 5G launch. O2 also announced a massive MIMO test in November, 2018, aimed at boosting their London network and providing groundwork for 5G deployment. In November, 2018, the company announced that they used the country’s first 5G smartphone prototype to complete their first 5G connection on TIM’s 5G network. In early 2018, Swisscom planned to deploy 5G to select locations in Switzerland before the start of 2019, with full coverage expected in 2020. However, it’s looking more like a live 5G network won’t be available for consumers until 2019. In conjunction with Ericsson and Qualcomm, Swisscom successfully completed a data transfer trial in November, 2018. The trial involved a 5G smartphone prototype which connected to a live 5G network in Lucerne. The 5G trial in Lucerne also confirmed that a 5G hotspot from Wistron NeWeb Corporation (WNC) could connect to the 5G network. The 5G test network was brought online in not only Lucerne but also Zurich, Geneva, Bern, and Burgdorf. Swisscom plans to bring commercial 5G to 60 cities in Switzerland before 2020. After purchasing spectrum to implement 5G, Vodafone Spain launched 5G trials in various cities in June, 2018, including Madrid, Valencia, Seville, and Barcelona. In September, 2018, they installed a 5G network node in La Nave, Madrid. The Elisa Oyj telecommunications company in Finland claims to be “first in the world to launch commercial 5G.” In June, 2018, the company opened a commercial 5G network in Tampere. In October, 2018, they announced a program to improve urban air quality with 5G sensors that can monitor for air pollutants. In 2018, Russia’s largest mobile operator, Mobile TeleSystems (MTS), partnered with Samsung to run various 5G tests that included video calls, ultra low latency video games, and 4K video streaming. These 5G tests were performed to show that not only is 5G coming to Russia but that Samsung’s 5G routers, tablets, and other devices are fully capable of running on a 5G network. According to GSMA, 5G networks will cover over 80 percent of the Russian population by 2025, so it can be assumed that a big portion of the country will have access even sooner. Another indicator that 5G in Russia is coming sooner than later is the 5G research center that opened in Innopolis, a high-tech city in the Republic of Tatarstan. The telecom giant Vodafone launched in November, 2018, a 5G network trial site in Dublin to test the network before they release a live, commercially available 5G network in Ireland. The trial was of a holographic phone call made between Ireland and Germany. The company also announced a 5G hub, called NovaUCD, to test new ideas and use cases for how 5G will transform various industries in Ireland. It isn’t completely clear when Vodafone Ireland will have 5G available to its customers, but in early 2018, they reported that a 5G rollout can be expected sometime before early 2020. Føroya Tele is the Faroe Islands’ largest telecom provider, and is expecting to roll out full 5G coverage by June of 2019. Jersey Telecom (JT) and ZTE have announced that 5G is coming to the Channel Islands. They’ll start with a pre-commercial launch mid-2019 for testing 5G. Most major countries in Oceania should see limited 5G roll-out in 2019 and greater availability by 2020. Telstra announced in August, 2018, that they had “switched on 5G technology across selected areas of the Gold Coast,” giving the state of Queensland the country’s first 5G-ready network. They also enabled 5G mobile base stations in Adelaide, Canberra, and Perth in October, 2018. According to the CEO, Telstra will have 200+ 5G-capable sites live before 2019. Australia’s second largest telecommunications company, Optus, is aiming for an early 2019 release of fixed 5G service “in key metro areas.” This includes Canberra and Brisbane in January, and others to follow by March, 2019. Vodafone has provided a 2020 release date for 5G in Australia. This is a reasonable time frame considering that not only is Vodafone the country’s largest mobile provider but because lots of other countries will likely adopt 5G by that same year. Having already been laying the groundwork for 5G, and implementing 5G trials in March of 2018, New Zealand’s Spark NZ plans to have a full 5G network ready to go by 2020. They plan to release 5G in metropolitan areas first. Vodafone is another 5G player in New Zealand, with plans to provide 5G serviceacross the country by 2020. A major revolution seems to be taking place within the world of finance. New technology in the form of Robotic Process Automation (RPA) and artificial intelligence (AI) is being introduced and looks set to overhaul the way we work. Once confined to businesses’ IT departments to detect security breaches, user issues and to automate tasks, AI is currently used in financial services for stock trading, predicting fraudulent transactions and determining risks. However, this looks set to be the tip of the iceberg as organisations begin to realise the opportunities AI and robotics present to finance departments and the benefits it could bring, particularly through the use of automation. There are several major benefits of RPA, not only does it perform tasks as accurately as a human user, but it does so faster and without errors. While the tasks themselves have to be simple and repetitive, this technology can allow for some of the more mundane tasks a finance team deals with to be automated. Though RPA is yet to be widely used in the finance sector, it presents the opportunity for financial professionals to automate tasks such as invoicing. This would see the hundreds of invoices usually dealt with manually automatically inputted and processed within the system, saving hours of time usually spent by individuals on the task. Similarly, there is potential to automate the processing of mortgage applications with automatic financial advice provided based on algorithms. Other processes that could be automated include processing bank mutations and compiling reports. All of these tasks are regular features within the sector. Furthermore, jobs which have previously been automated will be able to go one step further. For example, it is currently possible to automate the process of segmenting customers into groups based on established rules. Thanks to new technology, AI’s capabilities can now extend to improving the assessment of a customer’s creditworthiness. Previously, this assessment involved rules that were very black and white, with credit managers assessing any grey areas. However, AI can now be introduced to make new connections to assess these grey areas – making it easier for informed decisions to be made on credit risks. With RPA proven to have greater accuracy than people, its use could lead to increased quality and lower costs. Thanks to this accuracy and ability to carry out automated tasks, financial professionals will find that they have more free time which they can spend on bigger tasks. This would allow them to focus more closely on making a difference to their organisation and customers, rather than on the smaller but time-consuming tasks. AI and RPA could also improve the transparency of financial processes for credit managers, particularly that of the order to cash process. One of the main processes in a financial firm is the order to cash chain – a collection of business processes for the receipt and processing of orders and ultimately their payments. Without this process, continuous cash flow is not possible, and this has consequences for an organisation’s survival. This is one particular area that AI and RPA could be put to good use, allowing for some of the simpler, more repetitive tasks to be automated and for finance professionals to focus only on exceptional cases that can’t be processed by RPA. Additionally, the technology will ensure all financial information is up-to-date and comprehensible in real-time so that finance professionals can focus on analysis and strategy. It is clear that a large number of the benefits of AI and robotics in this field stem from the ability to automate processes which reduces time spent on them and increases the potential of financial professionals to spend time on more important tasks. These technologies also remove risks of human error, which in the financial sector can be costly, and can improve job satisfaction as workers get to look at the bigger picture issues while machines deal with the more mundane day-to-day tasks. However, despite these many benefits, there is another way in which RPA and AI could instigate a revolution within the sector – and this one might be a harder pill to swallow. Unlike humans, robots are productive 24 hours a day, seven days a week; they never tire and are never sick. They are also getting smarter and more affordable. Ultimately, they sound like the ideal ‘employee’ and this could have a wider impact on the sector with research suggesting 230,000 finance jobs could disappear by 2025. Although this presents a major concern for financial professionals, it will be up to them to create new jobs which can be added to this new world of robotics and algorithms. While this is concerning, it has parallels with the Industrial Revolution. Looking back through history, the Industrial Revolution meant many jobs were wiped out as machinery took its place. Although not on the same scale, and replacing brainpower rather than physical labour, financial professionals should look to this period for inspiration and begin to create new jobs. That said, job losses are just theoretical at this stage and in the immediate future new technology presents the financial sector more benefits than it does risks, allowing individuals to focus on the more interesting aspects of their jobs while tasks such as invoicing are automated. Despite the concerns, AI isn’t about replacing workers but about aiding them to do their jobs better. It isn’t a surprise that workers feel slightly vulnerable, however, the introduction of these technologies should be viewed as a net positive. There is no doubt that robotics and AI will revolutionise the finance sector in the coming years thanks to its ability to automate, simplify and increase the speed of processes. Change is undoubtedly a risk but failing to change is the bigger risk and failing to adopt these new technologies is likely to mean being left behind by the competition. The new 5G mobile communications system will enable many new mobile capabilities to be realised – offering high speed, enormous capacity, IoT capability, low latency and much more it provides the bearer for many new applications. The 5G mobile cellular communications system provides a far higher level of performance than the previous generations of mobile communications systems. The new 5G technology is not just the next version of mobile communications, evolving from 1G to 2G, 3G, 4G and now 5G. Instead 5G technology is very different. Previous systems had evolved driven more by what could be done with the latest technology. The new 5G technology has been driven by specific uses ad applications. 5G has been driven by the need to provide ubiquitous connectivity for applications as diverse as automotive communications, remote control with haptic style feedback, huge video downloads, as well as the very low data rate applications like remote sensors and what is being termed the IoT, Internet of Things. As work moves forwards in the standards bodies the over-riding specifications for the mobile communications system have been defined by the ITU as part of IMT2020. Peak data rate At least 20Gbps downlink and 10Gbps uplink per mobile base station. This represents a 20 fold increase on the downlink over LTE. 5G connection density At least 1 million connected devices per square kilometre (to enable IoT support). 5G mobility 0km/h to “500km/h high speed vehicular” access. 5G energy efficiency The 5G spec calls for radio interfaces that are energy efficient when under load, but also drop into a low energy mode quickly when not in use. 5G spectral efficiency 30bits/Hz downlink and 15 bits/Hz uplink. This assumes 8×4 MIMO (8 spatial layers down, 4 spatial layers up). 5G real-world data rate The spec “only” calls for a per-user download speed of 100Mbps and upload speed of 50Mbps. 5G latency Under ideal circumstances, 5G networks should offer users a maximum latency of just 4ms (compared to 20ms for LTE). The 5G mobile cellular communications system will be a major shift in the way mobile communications networks operate. To achieve this a totally new radio access network and a new core network are required to provide the performance required. 5G New Radio, 5G NR: 5G new radio is the new name for the 5G radio access network. It consists of the different elements needed for the new radio access network. Using a far more flexible technology the system is able to respond to the different and changing needs of mobile users whether they be a small IoT node, or a high data user, stationary or mobile. 5G NextGen Core Network: Although initial deployments of 5G will utilise the core network of LTE or possibly even 3G networks, the ultimate aim is to have a new network that is able to handle the much higher data volumes whilst also being able to provide a much lower level of latency. There are many new 5G technologies and techniques that are being discussed and being developed for inclusion in the 5G standards. These new technologies and techniques will enable 5G to provide a more flexible and dynamic service. Millimetre-Wave communications: Using frequencies much higher in the frequency spectrum opens up more spectrum and also provides the possibility of having much wide channel bandwidth – possibly 1 – 2 GHz. However this poses new challenges for handset development where maximum frequencies of around 2 GHz and bandwidths of 10 – 20 MHz are currently in use. For 5G, frequencies of above 50GHz are being considered and this will present some real challenges in terms of the circuit design, the technology, and also the way the system is used as these frequencies do not travel as far and are absorbed almost completely by obstacles. Different countries are allocating different spectrum for 5G. Waveforms : One key area of interest is that of the new waveforms that may be seen. OFDM has been used very successfully in 4G LTE as well as a number of other high data rate systems, but it does have some limitations in some circumstances. Other waveform formats that are being discussed include: GFDM, Generalised Frequency Division Multiplexing, as well as FBMC, Filter Bank Multi-Carrier, UFMC, Universal Filtered MultiCarrier. There is no perfect waveform, and it is possible that OFDM in the form of OFDMA is used as this provides excellent overall performance without being too heavy on the level of processing required. Massive MIMO with beamsteering: Although MIMO is being used in many applications from LTE to Wi-Fi, etc, the numbers of antennas is fairly limited. Using microwave frequencies opens up the possibility of using many tens of antennas on a single equipment becomes a real possibility because of the antenna sizes and spacings in terms of a wavelength. This would enable beams to be steered to provide enhanced performance. Dense networks: Reducing the size of cells provides a much more overall effective use of the available spectrum. Techniques to ensure that small cells in the macro-network and deployed as femtocells can operate satisfactorily are required. There is a significant challenge in adding huge numbers of additional cells to a network, and techniques are being developed to enable this. These are a few of the main techniques being developed and discuss for use within 5G. 5G is developoing rapidly and it needs to meet some demanding timelines. Some trial deployments have occurred and some of the first real deploymets are anticipayed in 2020. Many countries are rushing to deply 5G as effective communications enable economimc growth and are seen as an essential element of modern day life and industry. 5G is rapidly developing and it is becoming the technology that everyone is moving towards. Not only will it be able to accommodate the superfast speeds required of it, but it will also be possible to accommodate the low data rate requiremets for IoT and IIoT applications. As such 5G will be able to encompass a huge number of different applications, and accommodate very many differnet data types. The 5G NG NextGen core network will play a crucial role in enabling the overall performance of the 5G mobile communications system to meet its performance goals. The 5G NextGen, NG core network will play a key role in enabling the performance of the 5G mobile communications system. 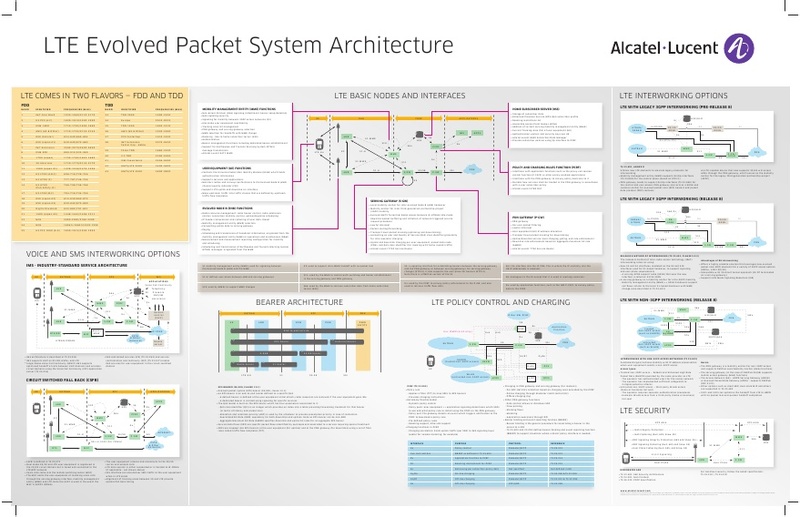 Defining the next-generation architecture is the responsibility of the 3GPP’s System Architecture (SA) Technical Specification Group on Service and System Aspects. The study phase, completed last year in 2016, outlines what this new core network, known as NG Core, or NextGen core network, will look like. The requirements for the network for 5G will be particularly diverse. In one instance, very high bandwidth communications are needed, and in other applications there is a need for exceedingly low latency, and then there are also requirements for low data rate communications for machine to machine and IoT applications. In amongst this there will be normal voice communications, Internet surfing and all the other applications that we have used and become accustomed to using. As a result the 5G NextGen network will need to accommodate a huge diversity in types of traffic and it will need to be able to accommodate each one with great efficiency and effectiveness. Often it is thought that type suits all approach does not give the optimum performance in any application, but this is what is needed for the 5G network. To achieve the requirements for the 5G network a number of techniques are being employed. These will make the 5G network considerably more scalable, flexible and efficient. Network functions virtualisation, NFV : When using software defined networks it is possible to run the different network function purely using software. This means that generic hardware can be reconfigured to provide the different functions and it can be deployed as required on the network. Network slicing: As 5G will require very different types of network for the different applications, a scheme known as network slicing has been devices. Using SDN and NFV it will be possible to configure the type of network that an individual user will require for his application. In this way the same hardware using different software can provide a low latency level for one user, whilst providing voice communications for another using different software and other users may want other types of network performance and each one can have a slice of the network with the performance needed. The performance required for the 5G NextGen network has been defined by the NGMN (Next Generation Mobile Network Alliance). The Next Generation Mobile Networks Alliance is a mobile telecommunications association of mobile operators, vendors, manufacturers and research institutes and by using the experience of all parties, it is able to develop the strategies for the next generation mobile networks, like that for 5G. As such the 5G NG, NextGen core network will be able to utilise far greater levels of flexibility to enable it to serve the increased and diverse requirements placed upon it by the radio access network and the increased number of connections and traffic. The standard for the 5G New Radio phase one has been released and within this the waveform to be used has been defined. A number of candidate waveforms were investigated for 5G, and after much discussion it was decided that a waveform based n OFDM would provide the optimum results. Accordingly cyclic prefix OFDM, or CP-OFDM was chosen as the main candidate with DFT-SOFDM, discrete Fourier transform spread orthogonal frequency division multiplexing being used in some areas. Orthogonal frequency division multiplexing has been an excellent waveform choice for 4G. It provides excellent spectrum efficiency, it can be processed and handled with the processing levels achievable in current mobile handsets, and it operates well with high data rate stream occupying wide bandwidths. It operates well in situations where there is selective fading. However with the advances in processing capabilities that will be available by 2020 when 5G is expected to have its first launches means that other waveforms can be considered. There are several advantages to the use of new waveforms for 5G. OFDM requires the use of a cyclic prefix and this occupies space within the data streams. There are also other advantages that can be introduced by using one of a variety of new waveforms for 5G. One of the key requirements is the availability of processing power. Although Moore’s Law in its basic form is running to the limits of device feature sizes and further advances in miniaturisation are unlikely for a while, other techniques are being developed that mean the spirit of Moore’s Law is able to continue and processing capability will increase. As such new 5G waveforms that require additional processing power, but are able to provide additional advantages are still viable. The potential applications for 5G including high speed video downloads, gaming, car-to-car / car-to-infrastructure communications, general cellular communications, IoT / M2M communications and the like, all place requirements on the form of 5G waveform scheme that can provide the required performance. Able to provide low latency transmissions for long and short data bursts, i.e. very short Transmission Tine Intervals, TTIs, are needed. Capable of fast switching between uplink and downlink for TDD systems that are likely to be used. Enable the possibility of energy efficient communications by minimising the on-times for low data rate devices. These are a few of the requirements that are needed for 5G waveforms to support the facilities that are needed. The specific version of OFDM used in 5G NR downlink is cyclic prefix OFDM, CP-OFDM and it is the same waveform LTE has adopted for the downlink signal. The 5G NR uplink has used a different format to 4G LTE. CP-OFDM- and DFT-S-OFDM-based waveforms are used in the uplink. Additionally, 5G NR provides for the use of flexible subcarrier spacing. LTE subcarriers normally had a 15 kHz spacing, but 5G NR allows the subcarriers to be spaced at 15 kHz x 2s with a maximum spacing of 240 kHz. The integral s carrier spacing rather than fractional carrier spacing is required to preserve the orthogonality of the carriers. The flexible carrier spacing is used to properly support the diverse spectrum bands/types and deployment models that 5G NR will need to accommodate. For example, 5G NR must be able to operate in mmWave bands that have wider channel widths of up to 400 MHz. 3GPP 5G NR Rel-15 specification details the scalable OFDM numerology with 2s scaling of subcarrier spacing that can scale with the channel width, so the FFT size scales so that processing complexity does not increase unnecessarily for wider bandwidths. The flexible carrier spacing also gives additional resilience to the effects of phase noise within the system. The use of OFDM waveforms offers a lower implementation complexity compared to that which would be needed if some of the other waveforms considered for 5G had been implemented. In addition to this, OFDM is well understood as it has been used for 4G and many other wireless systems. – the modulation scheme or schemes adopted for 5G will play a major role in determining the performance and complexity of the handsets and other nodes used. The modulation schemes used for 5G will have a major impact on performance. Whilst there are requirements to ensure that the data rates needed can be carried and the 5G modulation schemes performance issues including peak to average power ratio, spectral efficiency, and performance in the presence of interference and noise need to be included in any decisions made. The peak to average power ratio is one aspect of performance that needs to be considered for any 5G modulation scheme. The peak to average ratio has a major impact on the efficiency of the power amplifiers. For 2G GSM, the signal level was constant and as a result it was possible to run the final RF amplifier in compression to obtain a high level of efficiency and maximise the battery life. With the advent of 3G, then its HSPA enhancements and then 4G, the modulation schemes and waveforms have meant that the signals have become progressively more ‘peaky’ with higher levels of peak to average power ratio. This has meant that the final RF amplifiers cannot be run in compression and as the PAPR has increased, so the efficiency of the RF amplifiers has fallen and this is one factor that has shortened battery life. The opportunity now arises to utilise 5G modulation schemes that can reduce the PAPR and thereby improve efficiency. One of the key issues with any form of 5G modulation scheme is the spectral efficiency. With spectrum being at a premium, especially in frequencies below 3 GHz, it is essential that any modulation scheme adopted for 5G is able to provide a high level of spectral efficiency. There is often a balance between higher orders of modulation like 64 QAM as opposed to 16 QAM for example and noise performance. Thus higher order modulation schemes tend to be only sued when there is a good signal to noise ratio. Accordingly any 5G modulation scheme will need to accommodate high levels of performance under a variety of conditions. 3G and 4G have used modulation schemes including PSK and QAM. These schemes provide excellent spectral efficiency and have enabled the very high data rates to be carried but fall short in terms of their peak to average power ratio. To overcome the PAPR issue, one option being considered for a 5G modulation scheme is APSK or amplitude Phase Shift Keying. However in view of the fact that amplitude components of a signal are more subject to noise, which is substantially amplitude based, it is likely that any overall 5G modulation scheme will be adaptive, enabling the system to switch to the most optimum for of modulation for the given situation. – preliminary details and information about the multiple access schemes and technology being developed for 5th generation or 5G mobile wireless or cellular telecommunications systems. One key element of any cellular communications system is the multiple access technology that is used. As a result the 5G multiple access schemes are being carefully considered and researched to ensure that the optimum technique or techniques are adopted. There are several candidate 5G multiple access schemes that are in the running. Each has its own advantages and disadvantages and as a result, no single technique is likely to meet all the requirements. There are several candidate systems that are being considered as the 5G multiple access scheme. They include a variety of different ideas. Orthogonal frequency division multiple access, OFDMA: OFDMA has been widely used and very successful for 4G and could be used as a 5G multiple access scheme. However it does require the use of OFDM and requiring orthogonality between carriers and the use of a cyclic prefix has some drawbacks. As a result other multiple access schemes are being investigated. Sparse Code Multiple Access, SCMA: SCMA is another idea being considered as a 5G multiple access scheme and it is effectively a combination of OFDMA and CDMA. Normally with OFDMA a carrier or carriers is allocated to a given user. However if each carrier has a spreading code added to it, then it would be able to transmit data to or from multiple users. This technique has been developed to use what are termed sparse code and in this way significant numbers of users can be added while maintaining the spectral efficiency levels. Non-orthogonal multiple access, NOMA: NOMA is one of the techniques being considered as a 5G multiple access scheme. NOMA superposes multiple users in the power domain, using cancellation techniques to remove the more powerful signal. NOMA could use orthogonal frequency division multiple access, OFDMA or the discrete Fourier transform, DFT-spread OFDM. . There are several multiple access schemes that could be used with 5G. The one or ones used will be chosen as a result of the standardisation process which is currently onging. One of the options that is most likely to be incorporated into the 5G technologies that are being developed for the 5G cellular telecommunications systems is a millimetre wave capability. With spectrum being in short supply below 4GHz, frequencies extending up to 60GHz are being considered. One of the interfaces being considered for 5G mobile communications uses millimetre wave frequencies. It is estimated that bandwidths of several GHz may be required by operators to provide some of the extremely high data rates being forecast. Currently frequency below 4GHz are being used by cellular communications systems, and by the very nature, these frequencies could only offer a maximum bandwidth of 4 GHz, even if they were all clear for use which is obviously not possible. By having a 5G millimetre wave interface, much wider bandwidths are possible, and there are several candidate millimeter bands that are being considered for allocation to this type of service. The propagation characteristics of millimetre wave bands are very different to those below 4GHz. Typically distances that can be achieved are very much less and the signals do not pass through walls and other objects in buildings. Typically millimetre wave communication is likely to be used for outdoor coverage for dense networks – typically densely used streets and the like. Here, ranges of up to 200 or 300 metres are possible. One of the issues of using millimetre wave signals is that they can also be affected by natural changes such as rain. This can cause a considerable reduction in signal levels for the duration of the precipitation. This may result in reduced coverage for some periods. Often these 5G millimetre wave small cells may use beamforming techniques to target the required user equipment and also reduce the possibility of reflections, etc. Simulations have shown that when millimetre wave small cells are set up they provide a good level of coverage. Naturally, typically being lower down than macro cells, the coverage will not be as good, but when considering the level of data they can carry, they provide an excellent way forwards for meeting the needs of 5G systems. A further issue to be considered when looking at 5G millimetre wave solutions is that they will incur a much greater number of handovers than a normal macro cell. The additional signalling and control needs to be accommodated within the system. Also backhaul issues need to be considered as well. Manufacturing is going through a period of change as factory owners and operators look to take advantage of technological advances to improve their competitiveness. Changes in several areas have opened up new opportunities, and collectively they provide a new platform for manufacturers. In the first stages, manufacturers can use their new connected systems to gain critical insights about their operations. These insights can be used to improve the way the business is run, with potential enhancements to every aspect of their businesses. There are significant opportunities for telecom companies to support manufacturers as they follow this process – by the provision of services on the factory shop floor, across campus settings and as products are bought and used by customers. This vision of the future offers a potential opportunity for wireless telecom vendors and service providers to unseat providers of fixed telecom infrastructure, or to insert their products and services in place of self-provisioned enterprise networks built on fiber Ethernet cabling or expensive, proprietary private wireless networks. Analysis of existing players in the manufacturing market shows that they have already made moves to position themselves strongly as the ideal suppliers of Industry 4.0 technologies and services. The most advanced of these already have portfolios covering the entire value chain, and can cite experience of building next-generation factories for themselves and for customers. Neither operators nor vendors would be well placed to try to take a lead role in this market, as they are coming from too far behind. Where they have not already developed their own IoT platforms, operators have an opportunity to become branded resellers of third-party IoT platforms. This will enable them to better control the connectivity that accompanies the overall IoT package, including mobile, fixed and nomadic wireless services. There is a strong divergence of views between those keen to promote the idea of a wireless (as opposed to simply “connected”), or even mobile (as opposed to nomadic wireless), factory future, and others who simply don’t see their customers ripping out and replacing their factory solutions. Ways operators might attempt to break into the market include: targeting new factory builds (where using mobile might reduce the upfront networking cost) and targeting factory refurbishments (where the cables need to ripped out anyway). They might also try a completely different tack. Spectrum sub-licensing (where national regulations allow) may make sense here, giving operator revenues (where otherwise they might have none), vendors the opportunity to sell their kit and factories the capability to use licensed spectrum within the geographical confines of their properties but retain control of their infrastructure and (assuming the licensing model makes sense) retain control over costs. Industry 4.0: Opportunities for Telecom in Manufacturing assesses the roles that telecom operators and their vendors might play in the manufacturing revolution. It looks at what Industry 4.0 is, how that fits with other visions of the industrial future – such as the Industrial Internet of Things (IIoT) – and what role connectivity will play in enabling manufacturers to revolutionize the ways in which they run their operations. The study discusses how value chains are evolving and where telecom companies might fit into those value chains. Further, it looks at which connectivity technologies might fit within a factory environment and considers the state of Industry 4.0 now. Finally, it profiles companies from various parts of the value chain to show how they are addressing the Industry 4.0 opportunity. 5G – fifth generation mobile networks are set to launch commercially by next year, 2019, some fixed wireless use cases in early adopter markets even by end of this year. While the race for 5G is at full speed there remains a critical debate about 5G’s “killer app” – what it will primarily be used for and what the business model around 5G will look like. There is no doubt that in the future consumers will experience much higher data rates on their smartphones with 5G. It will deliver a quantum leap in capacity and data rates by a new radio system that utilizes much larger radio spectrum and achieves new heights in spectral efficiency. In addition to this “more of the same”, 5G will about far more than just watching cat videos on YouTube at much lower production costs for the underlying connection – which is already very good news to network operators. The true business value – and the upside potential for operators – will be about the substantial impact 5G will generate for industries. This new business area will be enabled by the 5G network architecture providing so-called “network slicing”. Slices are virtual networks tailored to the specific needs of different applications. The multitude of different virtual network slices all run on the same physical network infrastructure. With that approach every application gets precisely the quality of service and connectivity characteristics it needs, such as assured throughput, peak data rate, coverage, reliability and network delay. This programmability transforms the network from a best effort consumer service engine to a predictable connectivity hub for basically any kind of industrial use case able to meet the most stringent and extreme connectivity requirements. You may have heard statements like these a couple of times before, but you may also lack the real world proofs behind them. Therefore, let’s have a look at some of the “killer apps” of 5G in various industries by way of real projects in which Nokia is collaborating with leading companies in their respective industries who are equally as convinced that 5G will bring significant value add for their respective business models. 5G will offer new possibilities for connected cars such as providing higher quality online infotainment or the improved networking between cars and infrastructure for automated driving functions. In a Proof of Concept, Nokia and the BMW Group have been able to show some dedicated use cases, enabled by 5G network slicing. Based on the contrasting services’ characteristics, we have defined three exemplary slices for usage in the automotive context. A first slice is used to update HD maps by guaranteeing a defined data rate over longer time intervals. A second slice is focused on the exchange of time-sensitive data for the inter-vehicle data exchange known as vehicle-to-vehicle communication with high reliability and low transmission latency, which will be an important enabler for enhanced automated driving. A third slice is optimized with the best possible data quality for the streaming of videos in HD quality for infotainment, which can be played on the rear seat entertainment displays. Network slicing technology will ensure that the exchange of safety critical data always gets the highest priority, enabling new connectivity and information services that are not possible today. Experts of BMW Group Research are already today developing solutions to exploit the potential of future 5G networks in the car. Beyond this concrete example, the telecom industry and the automotive industry are coming together in the 5G Automotive Association which fosters the utilization of 5G in the automotive context. A major trial is currently being run by the Hamburg Port Authority, Deutsche Telekom and Nokia to test the capabilities of the 5G architecture in an 8,000-hectare industrial area at the Port of Hamburg. The trial is being carried out under the auspices of the 5G.MoNArch (5G Mobile Network Architecture) project led by Nokia. The complex logistics and connected infrastructure within a sea port like Hamburg’s are fundamental to the harbor’s operations and requires a well-designed ICT infrastructure that will face increasing challenges. By 2025, Hamburg will be processing about 18 million containers each year, as well as tens of thousands of trucks per day, self-driving vehicles and about 100,000 sensors, all sending and retrieving data to ensure fluent processes. This scenario calls for a new kind of connectivity. The main requirements of any application in the port include resilience (guaranteed availability, even in the case of failures), security and support for the diverse requirements of the different use cases. In the current trial a variety of applications are being enabled by dedicated network slices, meeting each application’s stringent needs. These include better traffic flow by connected, intelligent transport systems; more secure operations using augmented reality based expert assistance at construction sites; and water gates as well as improved pollution control by connected sensors on moving barges. In a nutshell, the 5G network architecture will play a key role in managing a complex infrastructure in the most efficient way. One of the most important enablers of the smart factory will be vastly increased connectivity that will link machines, processes, robots and people to create more versatile and more dynamic production capabilities. In modern factories – walls, rooves and the factory floor are the only fixed components. The rest is mobile, with flexible, movable plug-and-play capabilities enabling additional machines and the plant to be connected via wireless connectivity. Today wireline is predominantly used in factories providing the high performance and reliability needed for automation, but lacking flexibility to rapidly meet changing production demands. 5G is the first wireless technology with the high throughput, low latency and extreme reliability that can replace wireline connectivity in a factory. It will allow for entirely new use cases in industrial automation, collaboration and safety. In a joint project Nokia and Bosch have shown that by coupling advanced interactive robots with wireless perimeter intrusion detection, the safety of factory employees can be significantly enhanced. But this is just a start: 5G network slicing will provide end-to-end quality of service and isolation for different applications in a factory to meet stringent demands for reliability and latency. For example 5G can achieve simultaneous ultra-low latency of less than 1 millisecond and 99.999% reliability, making it the only mobile technology suitable for Industry 4.0 factory applications. This makes the inherent flexibility and ease of deployment of wireless connectivity available to high-end industrial automation applications for the first time. The newly founded 5G-ACIA (5G Alliance for Connected Industries and Automation) accelerates the collaboration between the manufacturing and telecom industries in order make 5G ready for Industry 4.0. In a nutshell 5G will significantly impact at least three large industries. This isn’t theory or wishful thinking: these industries are trialing the capabilities of the 5G network architecture to enhance driving experiences and connect mobile machines, vehicles and sensors, all resulting in a wide array of new possibilities. The Data Science Process is about exploring, experimenting, and testing new data sources and analytic tools quickly. For the first two decades of my career, I worked to perfect the art of data warehousing. I was fortunate to be at Metaphor Computers in the 1980’s where we refined the art of dimensional modeling and star schemas. I had many years working to perfect my star schema and dimensional modeling skills with data warehouse luminaries like Ralph Kimball, Margy Ross, Warren Thornthwaite, and Bob Becker. It became engrained in every customer conversation; I’d built a star schema and the conformed dimensions in my head as the client explained their data analysis requirements. Then Yahoo happened to me and soon everything that I held as absolute truth was turned upside down. I was thrown into a brave new world of analytics based upon petabytes of semi-structured and unstructured data, hundreds of millions of customers with 70 to 80 dimensions and hundreds of metrics, and the need to make campaign decisions in fractions of a second. There was no way that my batch “slice and dice” business intelligence and highly structured data warehouse approach was going to work in this brave new world of real-time, predictive and prescriptive analytics. I struggled to unlearn engrained data warehousing concepts in order to embrace this new real-time, predictive and prescriptive world. And this is one of the biggest challenge facing IT leaders today – how to unlearn what they’ve held as gospel and embrace what is new and different. And nowhere do I see that challenge more evident then when I’m discussing Data Science and the Data Lake. Nowadays, Chief Information Officers (CIOs) are being asked to lead the digital transformation from a batch world that uses data and analytics to monitor the business to a real-time world that exploits internal and external, structured and unstructured data, to predict what is likely to happen and prescribe recommendations. To power this transition, CIO’s must embrace a new approach for deriving customer, product, and operational insights – the Data Science Process (see Figure 2). This highly iterative, fail-fast-but-learn-faster process is the heart of digital transformation – to uncover new customer, product, and operational insights that can optimize key business and operational processes, mitigate regulatory and compliance risks, uncover new revenue streams and create a more compelling, more prescriptive customer engagement. And the platform that is enabling digital transformation is the Data Lake. The data lake exploits the “economics of big data”; coupling commodity, low-cost servers and storage with open source tools and technologies, is 50x to 100x cheaper to store, manage and analyze data then using traditional, proprietary data warehousing technologies. However, it’s not just cost that makes the data lake a more compelling platform than the data warehouse. The data lake also provides a new way to power the business, based upon new data and analytics capabilities, agility, speed, and flexibility (see Table 1). But a data lake is more than just a technology stack. To truly exploit the economic potential of the organization’s data, the data lake must come with data management services covering data accuracy, quality, security, completeness and governance. See “Data Lake Plumbers: Operationalizing the Data Lake” for more details (see Figure 3). If the data lake is only going to be used another data repository, then go ahead and toss your data into your unmanageable gaggle of data warehouses and data marts. BUT if you are looking to exploit the unique characteristics of data and analytics –assets that never deplete, never wear out and can be used across an infinite number of use cases at zero marginal cost – then the data lake is your “collaborative value creation” platform. The data lake becomes that platform that supports the capture, refinement, protection and re-use of your data and analytic assets across the organization. But one must be ready to unlearn what they held as the gospel truth with respect to data and analytics; to be ready to throw away what they have mastered to embrace new concepts, technologies, and approaches. It’s challenging, but the economics of big data are too compelling to ignore. In the end, the transition will be enlightening and rewarding. I know, because I have made that journey. Long hours, streamlined features to finish draft. The race is on to deliver some form of 5G as soon as possible. An Intel executive painted a picture of engineers pushing the pedal to the metal to complete an early version of the 5G New Radio (NR) standard by the end of the year. She promised that Intel will have a test system based on its x86 processors and FPGAs as soon as the spec is finished. The 3GPP group defining the 5G NR has set a priority of finishing a spec for a non-standalone version by the end of the year. It will extend existing LTE core networks with a 5G NR front end for services such as fixed-wireless access. After that work is finished, the radio-access group will turn its attention to drafting a standalone 5G NR spec by September 2018. To lighten the load, a plenary meeting of the 3GPP radio-access group next week is expected to streamline the proposed feature set for non-standalone NR. While a baseline of features such as channel coding and subcarrier spacing have been set, some features are behind schedule for being defined, such as MIMO beam management, said Keddy. It’s hard to say what features will be in or out at this stage, given that decisions will depend on agreement among carriers. “Some of these are hit-or-miss, like when [Congress] passes a bill,” she said. It’s not an easy job, given the wide variety of use cases still being explored for 5G and the time frames involved. “We are talking about writing a standard that will emerge in 2020, peak in 2030, and still be around in 2040 — it’s kind of a responsibility to the future,” she said. The difficulty is even greater given carrier pressure. For example, AT&T and Verizon have announced plans to roll out fixed-wireless access services next year based on the non-standalone 5G NR, even though that standard won’t be formally ratified until late next year. Companies such as Intel and Qualcomm have been supplying CPU- and FPGA-based systems for use in carrier trials. They have been updating the systems’ software to keep pace with developments in 3GPP and carrier requests. For its part, Intel has deployed about 200 units of its 5G test systems to date. They will be used on some of the fixed-wireless access trials with AT&T and Verizon in the U.S., as well as for other use cases in 5G trials with Korea Telecom and NTT Docomo in Japan. Some of the systems are testing specialized use cases in vertical markets with widely varied needs, such as automotive, media, and industrial, with companies including GE and Honeywell. The pace of all of the trials is expected to pick up next year once the systems support the 5G non-standalone spec. Intel’s first 5G test system was released in February 2016 supporting sub-6-GHz and mm-wave frequencies. It launched a second-generation platform with integrated 4×4 MIMO in August 2016. The current system supports bands including 600–900 MHz, 3.3–4.2 GHz, 4.4–4.9 GHz, 5.1–5.9 GHz, 28 GHz, and 39 GHz. It provides data rates up to 10 Gbits/second. Keddy would not comment on Intel’s plans for dedicated silicon for 5G either in smartphones or base stations. In January, Intel announced that a 5G modem for smartphones made in its 14-nm process will sample in the second half of this year. The announcement came before the decision to split NR into the non-standalone and standalone specs. Similarly, archrival Qualcomm announced late last year that its X50 5G modem will sample in 2017. It uses eight 100-MHz channels, a 2×2 MIMO antenna array, adaptive beamforming techniques, and 64 QAM to achieve a 90-dB link budget and works with a separate 28-GHz transceiver and power management chips. With 5G promising “ultra-high throughput, ultra-low latency transmission, and edge computing”, Huawei and Softbank’s 5G use cases including real-time UHD video, robotic arm control and more. The videos show a game of air Hockey being played, with a description of how this works in example 3, below. The remote control of the robotic arm also demonstrated an “ultra-low latency one-way transmission of less than 2ms.”With SoftBank planning “various experiments to study 5G technologies and endeavouring to launch 5G commercial services around 2020,” it’s clear these kinds of demonstrations are just a glimpse into what is promised to be a glorious 5G future. Of course, 5G promises to connect everyone to everything, everywhere, especially via a vast array of IoT devices, so security is still a major issue needing to be solved, but as with the final 5G standards, a lot of work is being done in all these regards to deliver solid solutions backed by superior security, and we’re just going to have to wait and see how successful the industry is at these issues. “A UHD camera was installed inside the demonstration room to capture outdoor scenery. The data from this camera was then compressed in real-time using an encoder and transmitted through the ultra-high throughput 5G network to a UHD monitor via a decoder, where the original data was recovered. “Scenery was captured by a 180-degree camera equipped with four lenses pointing four different directions installed in the demonstration room, and captured scenery was distributed to smartphones and tablets over the 5G network. “Four separate cameras were set up to capture the scenery in different directions, and the video images captured by these cameras were stitched together to generate a 180-degree panoramic video image that enabled multiple simultaneous camera views. Then the video image was compressed and distributed to smartphones or tablets in real-time over the 5G network, which gives users a truly realistic user experience. 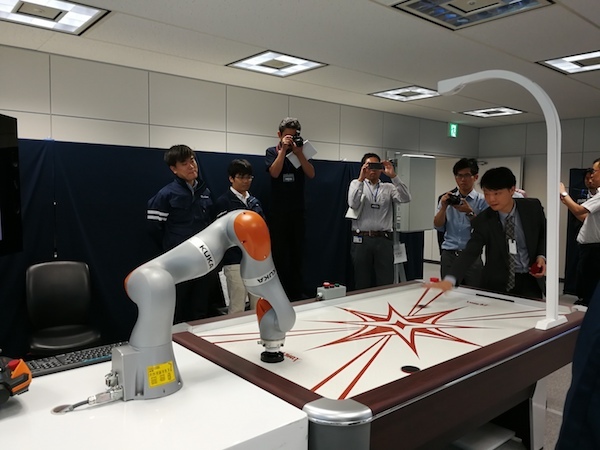 “A robotic arm played an air hockey game against a human in this demonstration. A camera installed on top of the air hockey table detected the puck’s position to calculate its trajectory. “Rendering is a technology used to generate videos or images using computers with GPUs (Graphic Processor Unit). This technology is used for generating HD videos in computer games or for CAD (Computer Aided Design). The rendering consumes a large amount of computing resources. Therefore, HD computer games or HD CADs were not executable on tablets or smartphones on their own. Huawei and Softbank note that: “Immersive video” and “remote control of a robotic arm with ultra-low latency” were jointly integrated and configured for demonstration by SoftBank and Huawei. “UHD real-time video transmission” and “Remote rendering with GPU servers” were integrated and configured for demonstration by SoftBank. Super-Fast 5G networks are expected to change the way we use the internet. AT&T is testing 5G out in the real world in partnership with Intel and Ericsson. The rollout of 5G networks has been anticipated ever since 4G took off. However, it is yet to become a reality. Yet, it is the need of the hour in the age of smart homes, connected cars, and connected devices. 5G is expected to be a major improvement over 4G and might offer speed of over 1 GB per second. According to the International Telecommunication Union’s 5G standard, 5G networks might offer peak speed of 20 GB per second downlink and 10 GB uplink. The real-world data speed is expected to come up to with at least 100 MB per second. It is expected to cause an increase in consumer data usage which will make the usage of all things connected whether it is smartphones, smart speakers or cars, much easier for users. Since it will be around 30-50 times faster than the current data speeds, it will make overall usage of smart devices smoother and easier. It might make for more devices such as the upcoming Apple Watch 3 to become LTE capable i.e. devices would come with embedded SIM cards, providing them data rather than being Wi-Fi dependent. But 5G has been in the works for long. When will it actually launch? 5G networks are expected to launch by 2020 and according to Gartner, they might cause a three-fold increase in number of connected devices. Whenever it is launched, 5G will support more devices than current 4G ones. It might also lure consumers into using more value-added services which might make it a more profitable deal for network providers. Many network providers are already claiming to provide 5G including Verizon and AT&T but the fact remains that none have really stepped up to the mantle by providing actual 1 GB per second speed. 5G will need a strong signal and its signals are high and short, therefore, network provider will have to protect their networks against obstructions. While network providers might get their act together, most probably by 2020, the hardware will also have to come up to par. Smartphones and other smart devices will have to be equipped with 5G-capable bands. For example, Apple has already received approval from the Federal Communications Commission for testing 5G broadband and is expected to make its upcoming phones, including the iPhone 8, 5G-capable. Samsung’s Galaxy S8 and Note 8 run on AT&T networks also claim to be 5G-capable. 5G is also expected to accelerate the adoption of technologies such as virtual reality and augmented reality and also increase the presence of more artificial-intelligence based apps and games on connected devices. That being said, 5G also has risks of exposing users to increased radiation. According to the National Toxicology Program, increased radiation might risk in an increase in the occurrence of tumors. All such issues will need to be worked out before the commercial deployment of 5G.